It has been a busy week for Ashbee Design and all because of a project that took me about 20 minutes to complete! I think the numbers clearly indicate that we all love a simple yet classy project! 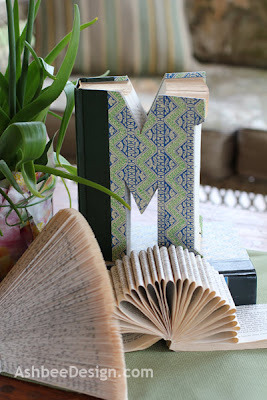 I am referring to my Monogram Altered Book post. Yup... that's the one. Seems folks liked it. A lot. I am honored to have been featured on some fairly nifty sites this week. 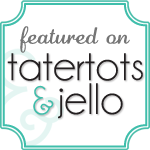 It started with being included in a listing of 25 great projects to make this spring over on Tatertots & Jello. Thanks Jen! Click on over and check out the other 24 ideas as well. 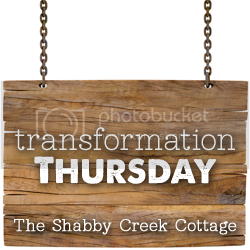 That was quickly followed by a feature by Gina on The Shabby Creek Cottage and Transformation Thursday. I visit there every Thursday. You should to. That got followed by a feature on Be Different Act Normal. They are a Saturday stop with a Show and Tell Saturdays link party. Definitely worth a visit. And then at the end of the week I ended up on a site new to me - The Smith Nest! 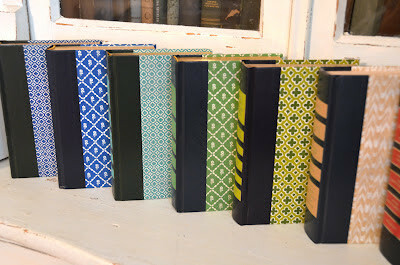 This post was my favorite because it was about interesting things done with Reader's Digest Condensed books. 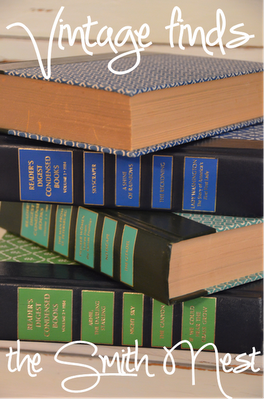 They had some wonderful photos showing the range of colors available in these vintage books. And some new ideas. Check them out here. I think I'll need to be collecting more of these designer covers. And working on new ideas for using them. Thanks to everyone for featuring these books, and also thanks to all the people that have pinned them on Pinterest. I have a complete board over there centered on books and pages ideas. Check it out here. And also at Tip Junkie here. Well...it is an awesome project! It deserves to be showcased! Congrats, Marji!